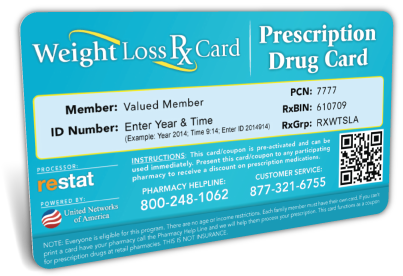 The Prescription Weight-Loss Drug Discounts Program is accepted at over 60,000 pharmacies across the country. Feel free to take advantage of our Pharmacy Locator Service to find a participating pharmacy in your area. You can even check the Medication Pricing before heading to the pharmacy.